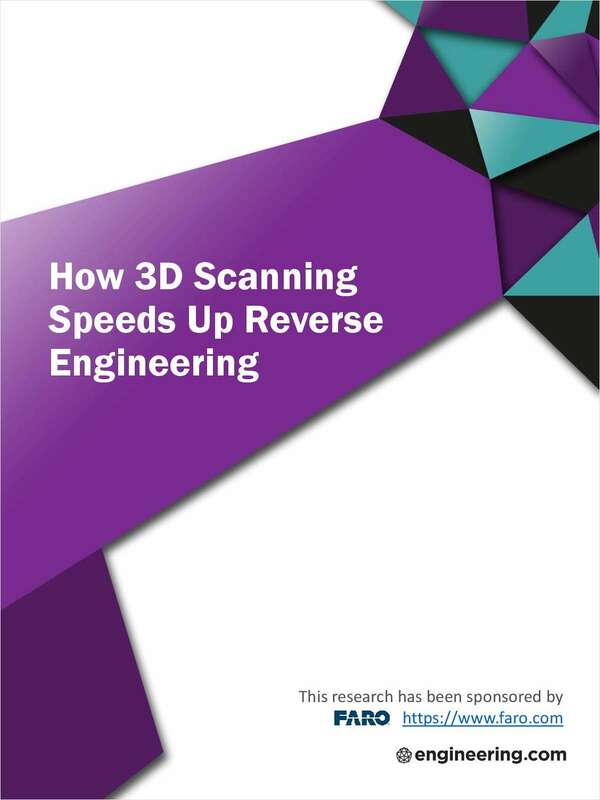 "How 3D Scanning Speeds Up Reverse Engineering"
Free White Paper: "How 3D Scanning Speeds Up Reverse Engineering"
E3D scanning is experiencing rapid advancement and adoption, extending beyond metrology applications and into product development, digital museum archiving and more. In particular, using 3D scanning for reverse engineering is changing the way that products are designed, giving designers the ability to scan real world objects, modify and manipulate them, and then reproduce them using modern manufacturing technologies. By submitting this content request, I have legitimate interest in the content and agree that Engineering.com and FARO, their partners, and the creators of any other content I have selected may contact me regarding news, products, and services that may be of interest to me.